Ana-Kristina is a Specialist Paediatric Dietitian for infants, children and adolescents, offering private consultations in her Harley Street clinic. 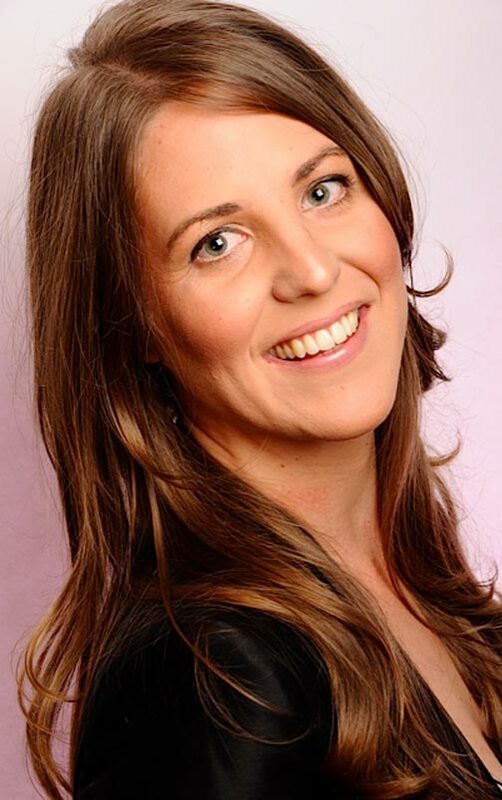 Ana-Kristina specialises in paediatric gastroenterology and food allergy; feeding difficulties and eating problems. Healthy eating begins with wholesome foods within the family home. Ana-Kristina believes access to healthy foods and food sustainability are important issues. She advocates for healthy food in schools and healthy communities. Nutrition may be seen as the cornerstone of health. As a Paediatric Dietitian, Ana-Kristina has expert nutrition knowledge. She believes nutrition is important at each stage of development in a child’s life, important foundations being set before birth, during pregnancy and continuing right through life. Ana-Kristina hopes to influence people’s view of food and healthy eating through her nutrition consultancy work. She works closely with health agencies in promoting healthy messages for children. Ana-Kristina hopes to dispel food and nutrition myths and contribute to improved knowledge through her work. Ana-Kristina has years of experience in working with families of infants and children suffering with a range of conditions affecting feeding. She offers expert advice on the management of complex nutritional problems and ensures her practice is up to date and evidence based. Nutrition is fundamental to children’s growth and development from birth into the early years and beyond. Whatever your child’s needs are, Ana-Kristina will provide a thorough nutritional assessment and offer tailored advice. Adolescent nutrition is complex and a good understanding of nutritional needs for optimal growth and development is essential. Ana-Kristina has broad clinical expertise from working with adolescents suffering from a range of acute and chronic conditions. She is trained in motivational and behavioural counseling techniques. Her years of experience and understanding has helped guide many young people to find a balance towards managing healthful eating practices. I saw Ana-Kristina twice to get dietary advice for my son who has a dairy allergy. The advice she provided was clear and extremely helpful. The level of detail that she went into, in such a short time, made a real difference to the successful implementation of a dairy free diet. We received essential information about calcium replacement, were advised to check his vit D, and about how to reintroduce soya / milk. In many ways it was more useful than seeing a doctor. Ana-Kristina herself was very patient, helpful and good at communicating. I would highly recommend her to others. Ana-Kristina has been superb in helping our 10 month daughter who suffers from multiple food allergies. When we first saw Ana-Kristina we were quite worried about our daughter as she was not gaining sufficient weight. Ana-Kristina was fully professional, very knowledgeable and detailed in the assessment and diagnosis. During her consultation Ana-Kristina was sensitive and reassuring, and her treatment plan has been excellent. Thanks to Ana-Kristina our daughter is growing well and is a happy infant. We are extremely greatful to Ana-Kristina for all her help. As a mother of 3 teenagers aged 13, 15 and 17 I found Ana-Kristina's talk on 'Food and Mood' very informative and practical. I liked her approach of explaining the role and impact of the various food groups on physical and mental development and her focus on a diet that meets the individual's needs in all food groups. She has a balanced view on nutrition which is very refreshing and provides a very practical and positive perspective: for example she explained the importance of clarifying the myth of carbs=weight gain, or the concept of 'good food vs bad food'. Her use of metaphors and simple graphics/visuals to explain concepts such as "understanding body image', 'Identifying an eating problem' or 'how parents can influence their teenagers' eating habits extremely useful and very easy to remember. She spoke in a very open-minded and professional manner , reflecting her depth of knowledge and her wide range of experience in the field of nutrition (from feeding problems with children to eating disorders in teenagers ). As most people who have suffered from an eating disorder will testify, getting help is scary and something you are most likely reluctant to agree to. However, from the moment I met Ana-Kristina I felt in safe hands and like I had a private and safe place to acknowledge and work through my problems. Throughout my process of recovery Ana-Kristina took all measures to accommodate and support me and even met me at times she usually wouldn't be working. I can honestly say were it not for her intervention not only would I not be the healthy and happy person I am today but I also would have fallen out with my mum who didn't know how to stop me spiraling out of control. I am eternally grateful not only for Ana-Kristina's help and support but also for giving me back normality and my life again. It is a very daunting thing to face that you child suffers from an eating disorder. It is easy as a parent to comfort yourself that he/she is just a healthy eater with tendency to restrict certain food types. With Ana-Kristina’s help both my daughter and I were deftly guided to a place where we were able to accept that this was no longer eating restriction but anorexia nervosa . With immeasurable kindness and empathy, Ana-Kristina guided us along the path our life was to take whilst this disease took control of my previously balanced,kind,clever and sensible daughter. Ana-Kristina knew when to introduce a psychologist to help tackle the underlying issues that were affecting my child and together they helped my daughter take back control of her life and gave me the tools to support and encourage her along her journey. The approach was firm, kind and never judgmental. As a parent I felt that we were both in safe hands. We presented a series of ever changing problems and each session, Ana-Kristina came up with solutions,ideas and plans. I just wish there were more”Ana-Kristinas”so more children like my daughter could be helped . Having a child with Anorexia is difficult,challenging and frustrating, but with Ana-Kristina on our side ,we never felt alone. It was a blessing to finally meet a health professional who had the knowledge and understanding which lead to diagnosing my child with food allergies. Ana-Kristina provided sound advice as to how to manage dietary issues and food challenges so my child could be comfortable, happy and sleep better! In addition, she is sensitive to the stress that food allergies can put on a family and was immensely supportive to me on an emotional level. It is clear to see that she cares deeply about the families she sees and will go above and beyond to help them. I don't know what I would have done without her!